Enjoy life. All of life. The daily hustle, but also the downtime. The entrepreneur in you, but also every other part of you. The intention of this article is not to tell my fellow entrepreneurs what to do, or what not to do, because, ultimately, I have no clue, really. My hope is that maybe, and only maybe, a small piece of my story can inspire them to evaluate everything that is going on at the moment in their busy lives, and make a decision that is better for their wellbeing. Because there is nothing more important than that. So, here is my story with SnappCard. I was a 23-year-old student when I decided to move to Dubai in 2012. Working for an early stage investor in Germany had given me some experience in the tech space, but launching something of my own was a dream. I left everything behind, and on November 11, 2012, the first version of SnappCard went live. I will never forget that moment, as it was the first day of the rest of my life. Little did I know what I had actually signed up to. After the switch was turned on, it could not be turned off anymore. For the next five years, SnappCard became my life. 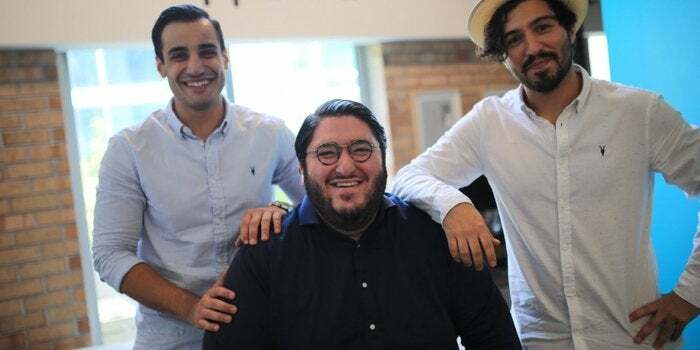 I raised seven rounds of funding, a total of US$2.5 million from 15 different non-institutional investors, and we opened offices in Turkey, Kuwait, and Bahrain. Soon enough, we had 30 staff, and were making around $50,000+ in monthly recurring revenue. The business was at its peak. But I was a hamster on a hamster wheel. Running, running, and running, trying to accomplish something, to prove myself, to build a reputation, to grow the business, to create value, and all other things that I was convinced were the most important things in my life. Little did I know that if you stay on the hamster wheel for too long without balancing your life, something will have to give in. At first, it was my physical health. I was 170kg at my highest point, and I also developed Type 2 Diabetes. I read this sentence now in complete shock, but at that very moment, these two major things were still not strong enough indicators for me to re-evaluate my life. I still kept going. In early 2017, the business was in need of short-term financing, so I decided not only to sell all my apartments in Germany, but also to raise capital from family members to finance the operations of the business. I was truly all in- even more than all in. However, in May that year, something unexpected happened- my grandmother passed away. I flew to Iran for her funeral, feeling the pain of loss, and truly understood how precious life is, and how fast it can be over. Since then, I have learned that we humans learn the most efficient way through direct experience, and so, that was mine as well. For the first time in my life, I truly understood that nothing matters more than health. It was one of many wake-up calls, but this time, I picked up. This was also the beginning of a whole different battle- for my mental health. I knew I could not continue like that, but I could not simply stop without any consequences. The previous five years of my life had gone into it, my entire money was invested, my investors’ money was in it, and most importantly, the jobs of my team. This internal struggle caused me to lose my passion. I was forcing myself to go to work, but once I got there, I was unproductive, felt useless, and demotivated. All I wanted was to stay in bed. And, when I did stay in bed, all I could think about was my failure, the loss of all capital, the actions I knew I had to take, but without the energy to face the consequences. It was pretty much a downward spiral until, having received some much-needed help, I was able to make the decision that I had to move on, and prioritize my health. But at the same time, it was important to me to keep the business going, and set it off on a path that it deserved. The first stage of keeping the business going included making it financially sustainable, which meant letting people go. The decision was not that hard, but the execution was the hardest thing I had ever done- letting go of around 20 people that were not just employees, but family. I pushed it back until the very last point possible, but then I had to face the inevitable, and, thus, I conjured a team meeting, and shared the news with everyone. Yes, of course, we were all extremely upset, but at the same time, everybody accepted it with grace, and we all ultimately felt grateful for the time and experience we had been able to share together. The second stage was making sure that the day-to-day business was still growing. We automated many of our services, built new technologies, and successfully restructured our product offering without losing any of its value. SnappCard is still a powerful tool for restaurant operators to increase revenue, gather customer insight, and build more authentic relationships with their customers. The third stage was to find a future for the business: some kind of an exit or a takeover. We explored a merger with another startup in depth, but that did not work out. Although the founders of the startup were eager, and we were even able to find common terms, what we had underestimated was the bureaucracy and power of their investors. Afterwards, we decided the best thing would be to sell the business to a strategic partner. We created a full sales process, including a fully-fledged data room, exit presentation, and future roadmaps, and ended up reaching out to over 20 potential buyers, of whom we started discussions with more than 10, deeper discussions with five, and ended up agreeing on terms with one. Then, we signed terms with them, received a small down payment, and went into a month-long thorough due diligence, during which we were in touch on a daily basis, and even hired a renowned law firm to help us with the transaction. On the signature day, however, the buyer did not show up, and did not respond to our calls, did not respond to our emails. Nothing. It was as if they had disappeared completely. For another month, I tried to get hold of them before I gave up. I had already had different experiences in business, and had known that anything could be expected, but nevertheless, this was beyond imagination. I did not see this coming, and, if I’m being completely honest, it made me lose hope in the system and the region, and I was ready to give up. By coincidence, I got connected to a friend of a friend who was also an entrepreneur, and had just exited his old startup. He had been a SnappCard user for over four years. He brought his business partner onboard, and we started discussing a potential collaboration. Now, four months later on, I am happy to announce that SnappCard has two experienced serial entrepreneurs as new co-CEOs. Two people that are highly capable and experienced, and who, I believe, are a better fit than I proved to be, to take the business to the next level. SnappCard, which has definitely suffered over the past few months, is now on the path to becoming stronger, and better than ever before. And I have been extremely lucky to have been supported along the way by my amazing investors, as well as my employees. Similar to the business, I personally went through difficult times to come out on the other side stronger and better than before. This whole process of moving on from the business has taken me 18 months in total, but during this time, I have been able to prioritize my health, to lose over 50kg, and to reverse my diabetes. I have learned a lot, and managed to overcome many of my mental limitations and barriers. I wouldn’t have gotten to where I am now if I had not gone through this experience, but I do believe that many of the dark moments can be avoided by taking care of yourself. Don’t forget that your business is only an extension of you. Below are some of my main tips for fellow entrepreneurs, most of which probably seem banal, and I am guilty of not following them earlier, but let me tell you that they do make a big difference on you, and, therefore, directly on your business. Try to sleep seven hours a day. Try to sleep at the same time every day. Try to sleep in full darkness, and use a sleep tracker to wake you up from light sleep. Take care of your eating habits, because it makes a big difference to your energy levels. If you can do just one thing, then start with intermittent fasting 16/8. It did wonders for my productivity. Find something that you love, and do it regularly. For me, it was boxing. I would usually do it after work to make a nice end to the day. It allowed me to sleep better, and increase my energy levels for the evenings. Try to find a form of meditation that works for you. It can be any of the existing apps, just sitting in your chair and counting your breaths, or even a meditative routine, such as cooking. In any case, meditation really helps with clarifying your mind, reducing stress levels, and just becoming more balanced. And I mean time for yourself only. Not with family, not with friends, but a private time alone to do what truly excites you, and restore your true self. If you can’t take both days off, at least force yourself to take one day off. Your startup is not a business, if it cannot survive one day without you. Reflect in whatever way works best for you. Think before going to bed. Journaling has done wonders for me. And let it become your routine. When put into perspective, we all have so many things in our lives for which we should be grateful, and we don’t need to wait for bad things to give us that perspective. These are the people who tell you the truth, and are motivated to see you grow. All of life. The daily hustle, but also the downtime. The entrepreneur in you, but also every other part of you. They say entrepreneurship is not a sprint, but a marathon. They are right. Your startup is just one part of who you are. It is not all of who you are, and do not allow it to become that. The better you treat yourself, the better you will be treating your startup. Get off the hamster wheel, and start running your life in its fullest form.